This was my fourth College Art Association conference over a ten year period. My first being in Los Angeles in 1999. Not only did I attend that year because I lived in LA at the time, I was also interested to attend a studio session entitled Off the Mainstream, Into The Mainstream. The session included three chairs and nine artists presenting the state of environmental art from the 1990s, including mostly artists from California. This was the panel that set me on course to participate in an ecoart dialogue listerve online for the last ten years. Ten years later, CAA 2009, was once again in LA, although this time there were several panels that crossed over into the realm of science or ecology including: Proof: Art Illuminating Science with artists Lillian Ball and Aviva Rahmani; Green Foundations: Curricular and Environmental Sustainability with Linda Weintraub; Place Markers: Artists, Technology, and Landscape; The Ecological Imagination: From Land Art to BioArt; and Land Use in Contemporary Art, Part I & II. Since I lived in Los Angeles for more than twenty years, I decided this CAA to propose a paper for the Land Art panel to present examples of artists working outdoors in Southern California from 1999-2008. I focused on work that was least invasive and noted a progression of a land ethic by artists who were in the following exhibitions: Malibu Art Ranch 1997; SaFARi at the Old LA Zoo 1998; Escondido Phoenix 1999; Newtown Trail Markers 2001; Earthworks NOW Biennial 2003/5; HDTS 2001-2008; and MOISTURE 2001-2008. Other panelists included Kimberly Paice from University of Cincinnati who gave a talk “On Wheat” that mostly focused on Agnes Denes' Wheatfield: A Confrontation. She also presented Dennis Oppenheim's’ field work “Cancelled Crop” and “Directed Seeding” both from 1969. Chris Taylor, co-creator of Land Arts of the American West, a program operating from Texas and University of New Mexico, presented a visual diary of a caravan road trip he took with students to cultural sites and earth/land art sites in the desert Southwest over a two month period in one semester. They create ephemeral work on the land and return to the campus to create work for a gallery exhibition. Ann Wolfe with the Nevada Museum of Art gave a paper on Chris Drury and his Mushroom work they recently comissioned him to do. The Museum sponsored the Art+Environment conference in Reno last fall where Ann also gave a presentation. Her emphasis was that the Museum in Reno is the first of its kind to make Art+Environment its curatorial thematic. She also announced that the Director of the program, William Fox, has begun to create an archive of ephemera related to projects created in and near Nevada in the desert (Heizer/deMaria). Land Art is a term that mostly refers to a movement from the 1970s, large-scale or monumental earth art, meant to be seen from far away. You often hear this term from Europe, particularly from the UK, to describe earth art, smaller works in the landscape, even ephemeral. However, after this panel, I believe there was some consensus that Land Art is a historical term referring to work created in the desert Southwest and does not define the type of work being done today. Panel Chair Kirsten Swenson referred to this new work as a Land-based Art Practice. And, from there, the medium is the message. As we know, there is still plop art happening (even at High Desert Test Sites). And, much of the art that is created outdoors is simply using nature as a gallery or cheap studio space. The real trick is to work with the land but not impact it, thus the title of my talk Land Ethics:Post Land Art. 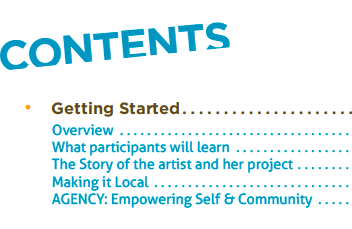 Some better examples of this would include audio tour projects like Invisible 5 & Jack Rabbit Homestead by Kim Stringfellow, or more urban/rural dialogic/relational mapping/tour projects like Fallen Fruit or LA Urban Rangers. Or, how about Bruce Nauman's proposal for a sky writing in 1969 entitled "Leave the Land Alone." This is a work I only found out about in the inaugural issue of Mammut magazine (Fall 2008), in an article with the same title written by Andrew Bernardini. He stated that this was Nauman's response written in a letter to a gallery who invited him to participate in an earth art exhibition. The work was never realized and the letter has not been found. This sounds like a perfect project for the Center for Land Use (CLUI) to execute with Nauman, in the clear blue skies of Nevada?